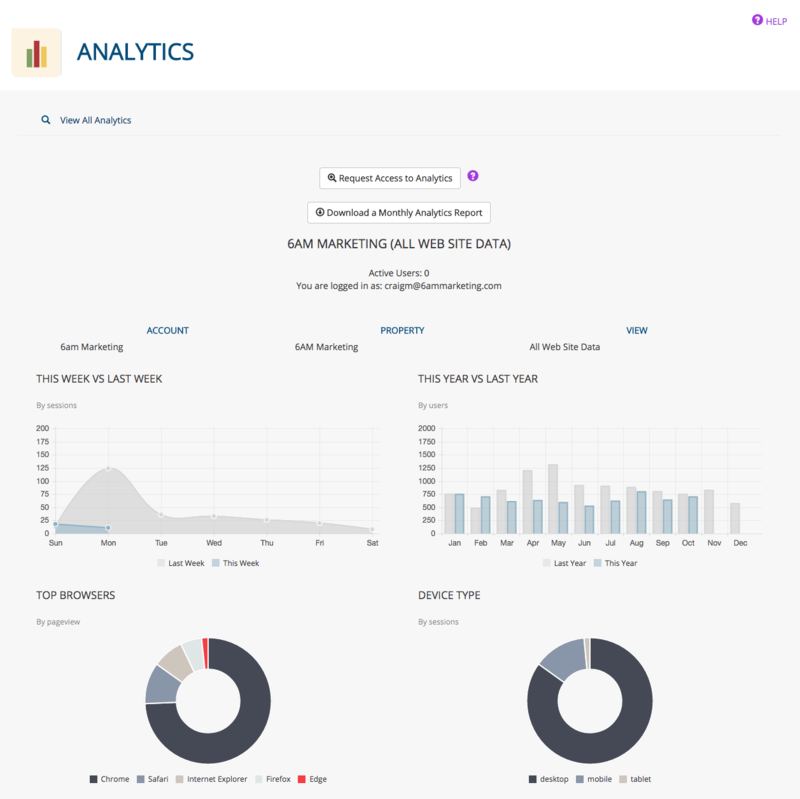 Visit the Analytics app by selecting it from the app menu or by visiting the Dashboard and selecting it there. If you already have access, click the VIEW ALL ANALYTICS button to log in to your Google Analytics account. View highlights of your site analytics: sessions by week, users by year, page views by browser, and sessions by device. 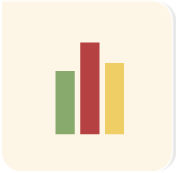 Each page in the admin area of your site contains page-specific Google Analytics charts showing data (page views, unique page views, average time on page, bounce rate), along with a link to download the report. (You must be logged in to your Google Analytics account to see these charts).